2 Ply: 1.0 Mil-Film. Resists Bubbling and Pealing. Pliable for Easy Attachment to Curved Surfaces. High Heat Resistance. 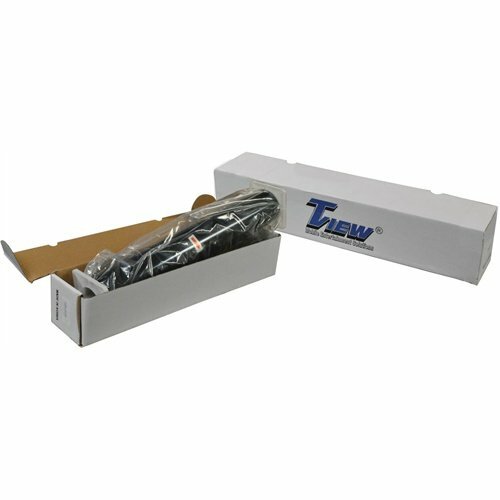 Protects Vehicle Interiors from UV Fading and Heat Build-up. 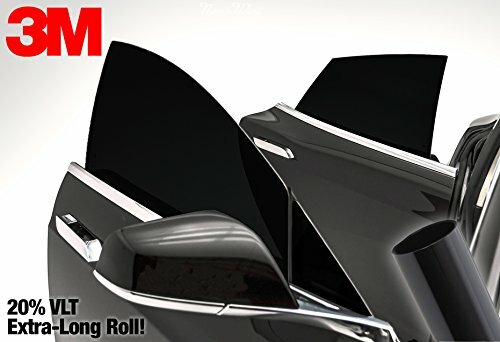 Beat the heat with style with 3M 20% Dark Window Tint Vinyl. 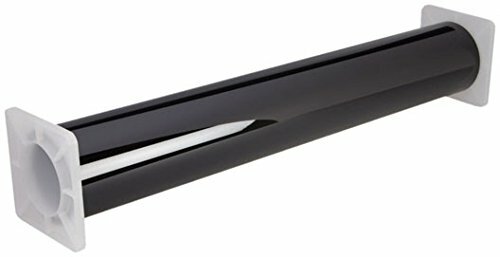 Easily installed at any skill level on any clean windows. Our air-release, repositionable adhesive allows for the greatest ease in installation or removal. Besides allowing in only 20% of visible light, this vinyl also offers a dirt, water, grime and scratch proof surface. This highly durable film will last up to 7 years on your vehicle. 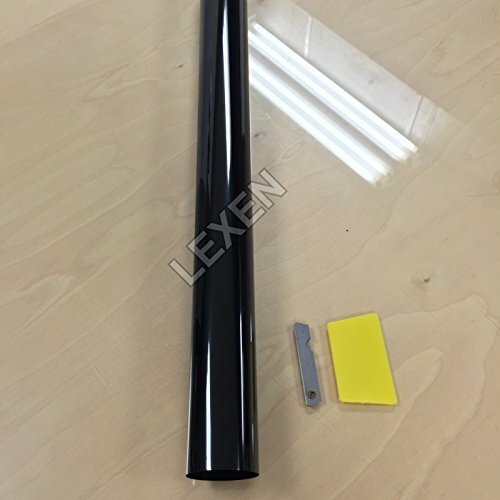 Package includes one large roll of 20" x 72" tinting vinyl. 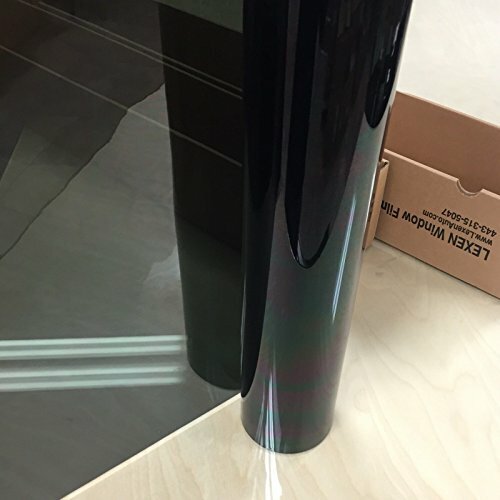 INSTALLATION GUIDE: 1) Measure your vinyl, cutting the sheet to the appropriate size with an additional 2 inches of overlapping vinyl on each side. 2) Thoroughly clean and dry your windows. 3) Make a solution of water and a few drops of dish soap in a spray bottle. Thoroughly wet your window. 4) Remove the backing from the vinyl and thoroughly wet that. Apply the wet, adhesive side to your window. 5) Using a squeegee, work outwards from the center and carefully push out all of the bubbles and moisture under the vinyl film. 6) Once all of the bubbles are removed, use a precision cutting blade and cut away the excess film. Squeegee as needed. 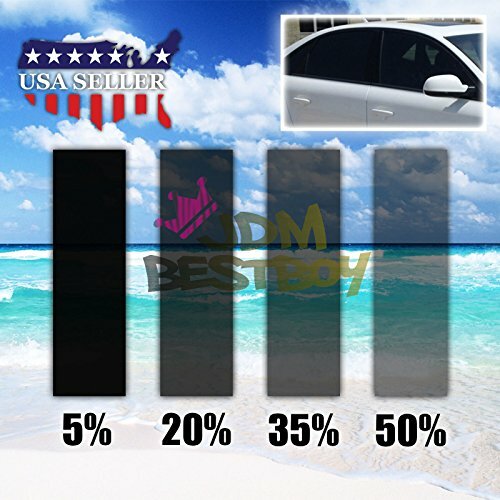 http://PerfectDarknessTint.com Please wait 3 to 5 days before you roll your windows down after it's been tinted. 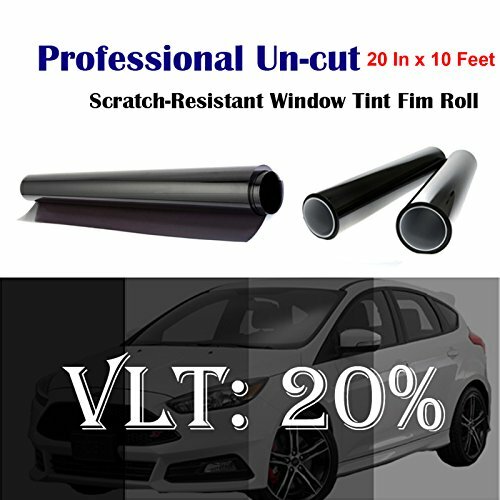 Compare prices on Window Tint Roll 20 at ShoppinGent.com – use promo codes and coupons for best offers and deals. Start smart buying with ShoppinGent.com right now and choose your golden price on every purchase.